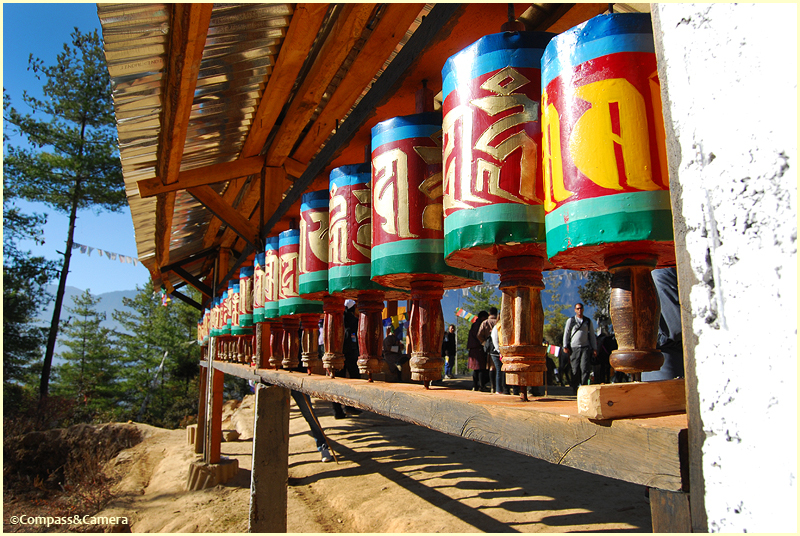 Have wanted to go to Bhutan for many years. Tears filled my eyes as I read your blog. What a joyous adventure! Oh, wow, that’s such a nice message. Thank you, even though I made you cry. 🙂 Hope you get there someday! Thanks for reading. K.
Hello! Thank you! 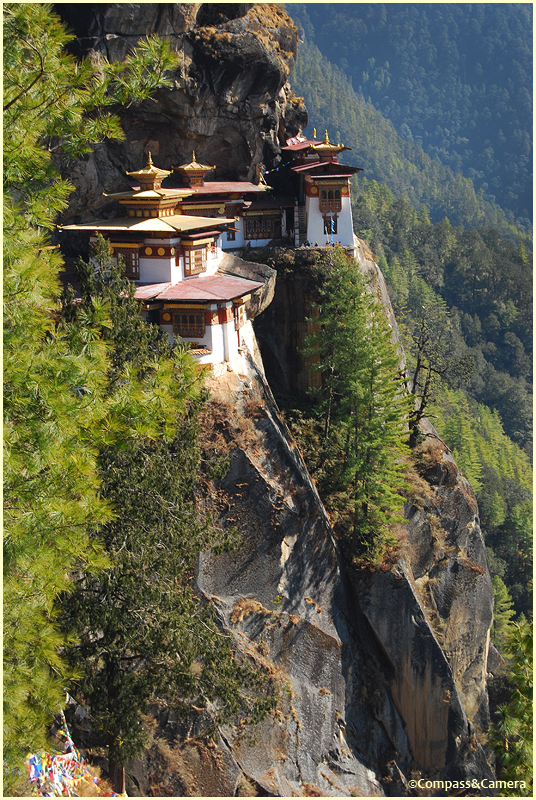 Yes, Bhutan is a very special place. I just visited (and followed) your blog! So great to connect, and your photos are stunning. I’m hoping to go to India next year, so I can’t wait to read more about your travels. Thanks for your comment! Thank you so much! Do let us know about your India plan… While we are a tad slow in uploading a lot of the travel information we already have, we could nevertheless give you tremendous insights into off the beaten track destinations that will make your India travel ever more fun! Thanks for your wonderful blog. I waited rather impatiently for each new installment! And then read eagerly when they came. 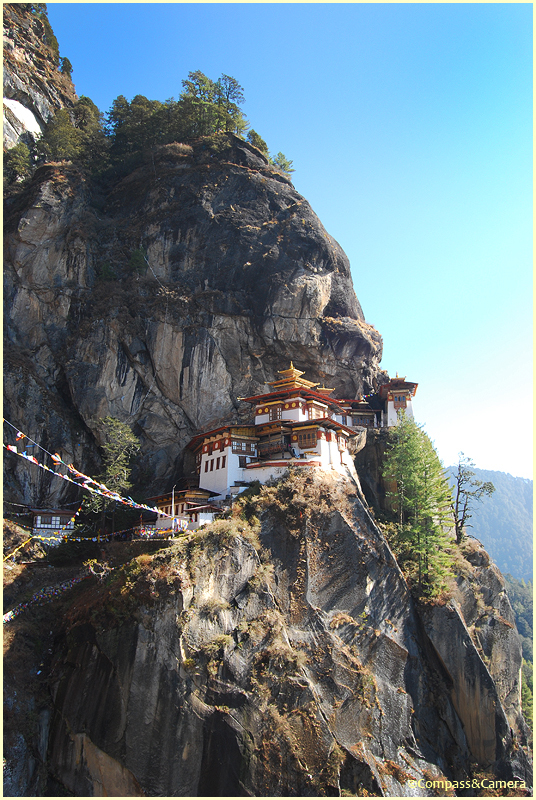 What did you think of the tourists who rode horses half way up to the Tigers Nest? Definitely the most interesting place I’ve been to. Thank you John! I know, seems like it took me forever to write each installment! Thanks for your patience! It’s time consuming (but fun) to verify everything, condense history into a couple paragraphs and make sure it’s all accurate. The horses were okay, but going by foot is always my preference. It makes getting there very rewarding. What did you think? Thanks so much for reading! K.
I agree about going by foot. The horse riders were missing the point. 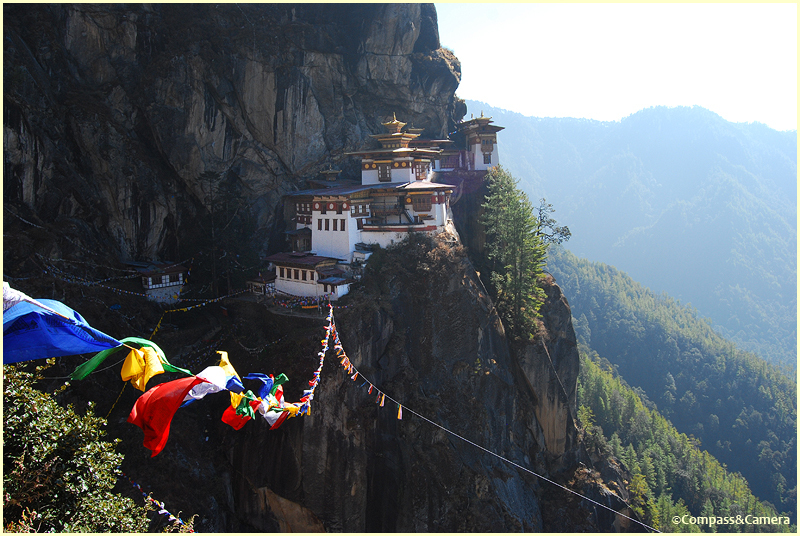 I’ll never get to Bhutan, so appreciatye the opportunity to see it through your eyes. 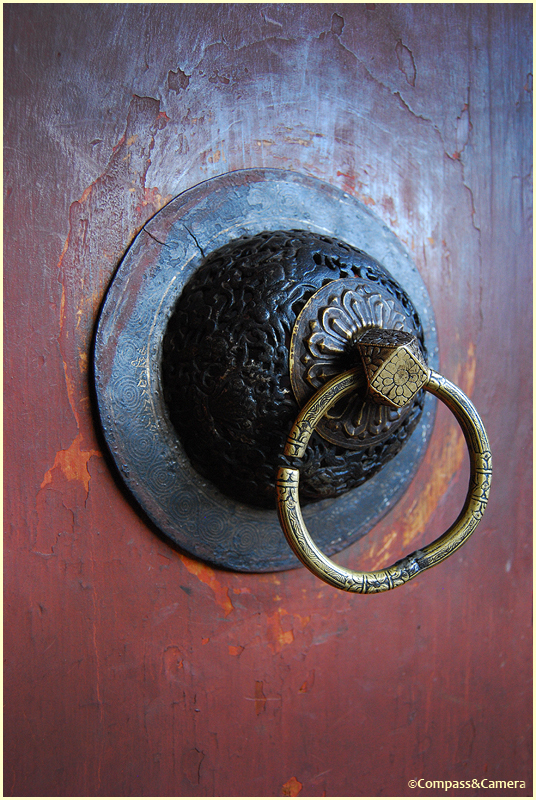 Thank you – making a deep bow to you. Thank you so much! 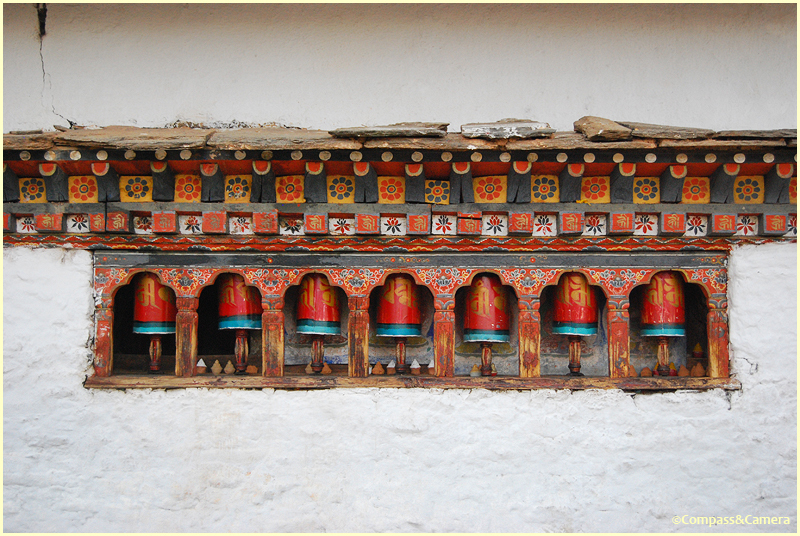 Great to hear you’ve been to Bhutan too.Thanks for reading, and safe travels to wherever you go next! 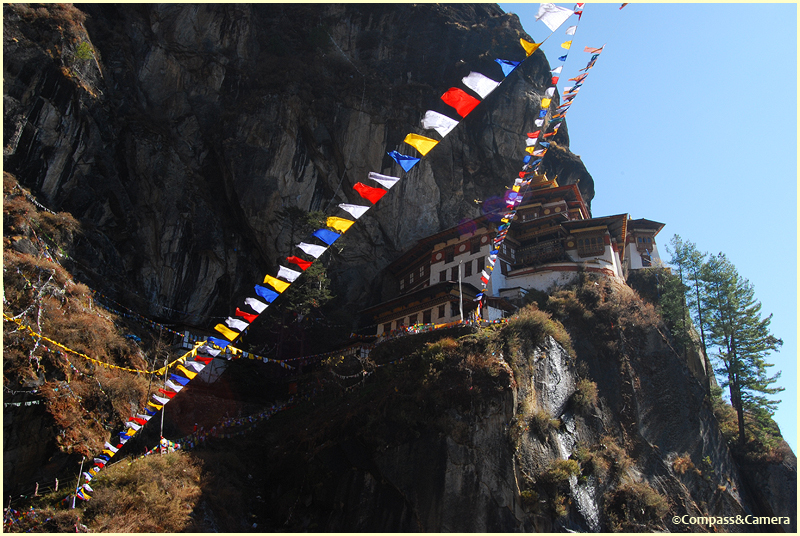 Amazing photos and descriptions K. That photo of th eye level view of Tiger’s nest is beautiful. Perfect Happiness…yes, that’s just right. A brilliant series all round with marvelous images. Love the football shot 🙂 And thank you for the tips. What a very special and magical moment that must have been up there on the mountain. I hope you fulfill your wish- boy or girl- and let us know the outcome. Ah, thanks POP! It was a great moment, a great memory, maybe something to keep for the future. You never know! Thanks for reading. Love you, K.
Dang, woman. You write REALLY well! 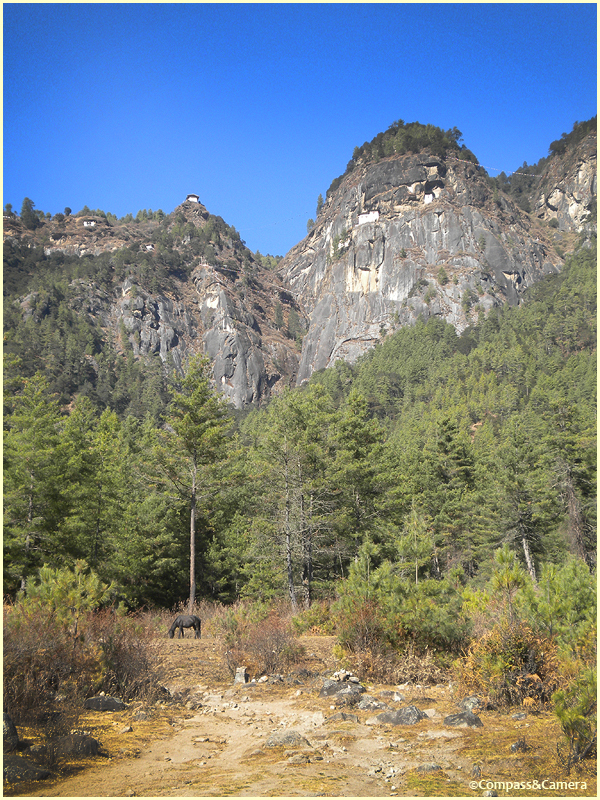 I’d mention your photos, too, but I’m thinking it may be impossible to take a bad photo in Bhutan? Truly impressed. Can I get to Tiger’s Nest in the rain in June? Do I need to know anything else? Where are you now? Hello again! Thank you so much for the compliment! 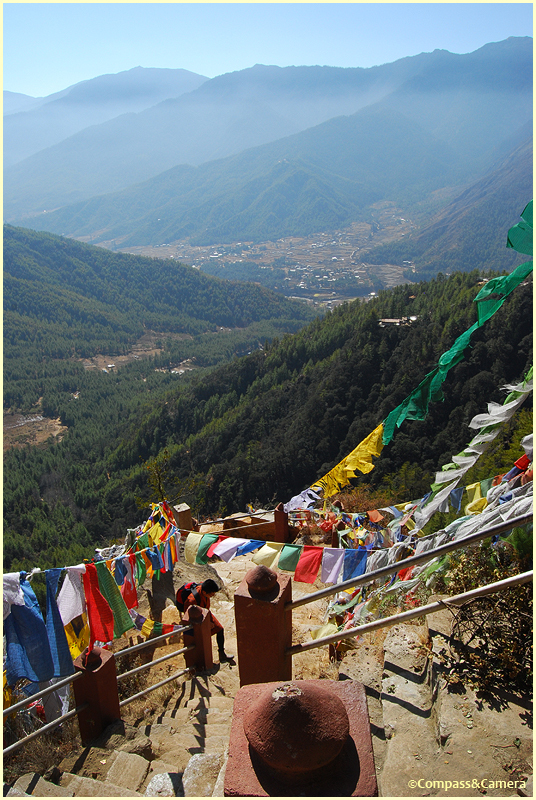 Yeah, hard to take a bad photo in Bhutan. If you go, make sure you see an archery contest — it’s the national pastime, and I think they happen pretty frequently. We came upon one on a weekday afternoon. A bunch of guys shooting arrows having a blast. Really fun to see. I’m in Singapore now — busy with work so I haven’t posted much, but hopefully my last post on Oman coming up in a few days. And then… lots more travel starting in June. Can’t wait! Where are you? Cool. Archery it is. I’m in Abu Dhabi. Where do you head first? 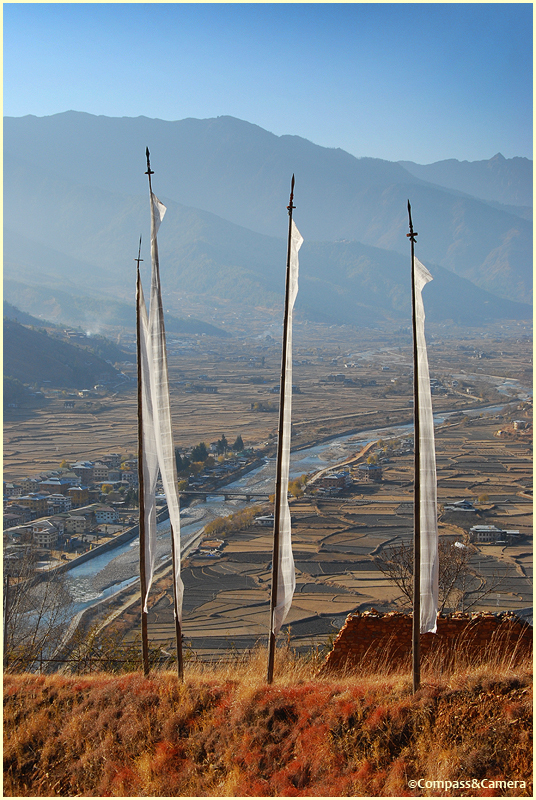 Love the blog We are planning a trip to Bhutan. I take it you’d recommend Bridge to Bhutan? What were your fav parts? 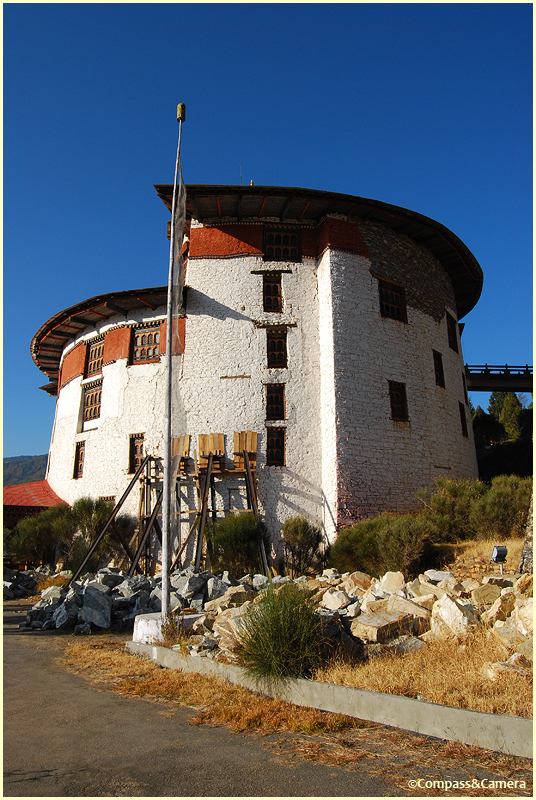 I just returned from Paro and the museum is still closed. I would like to go back and travel south next time. I stayed at the Gangley Palace and loved it. The view at night from the dining room was wonderful. The museum and monastery are both lighted until about 8ish at night. This was one of the best places I have ever visited. Thanks for sharing your experiences. 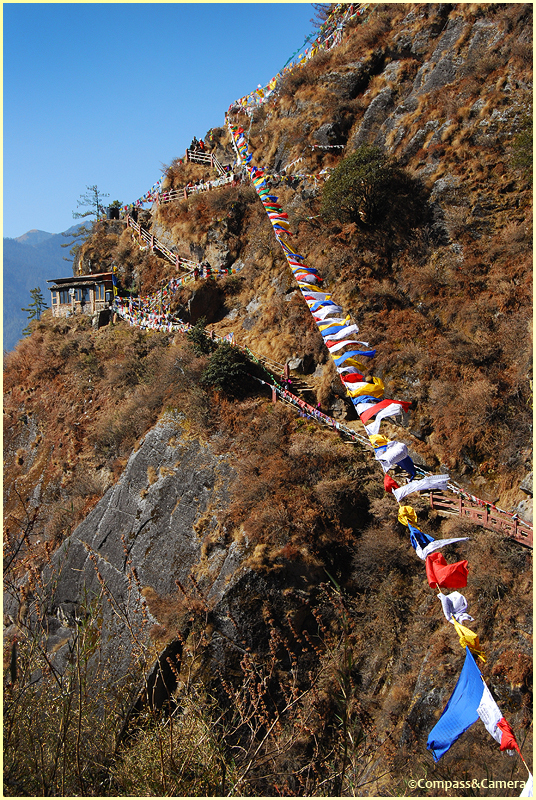 Do you happen to remember what the small stone collections along the path up to Tiger’s Nest were called? Hi Suzanne! 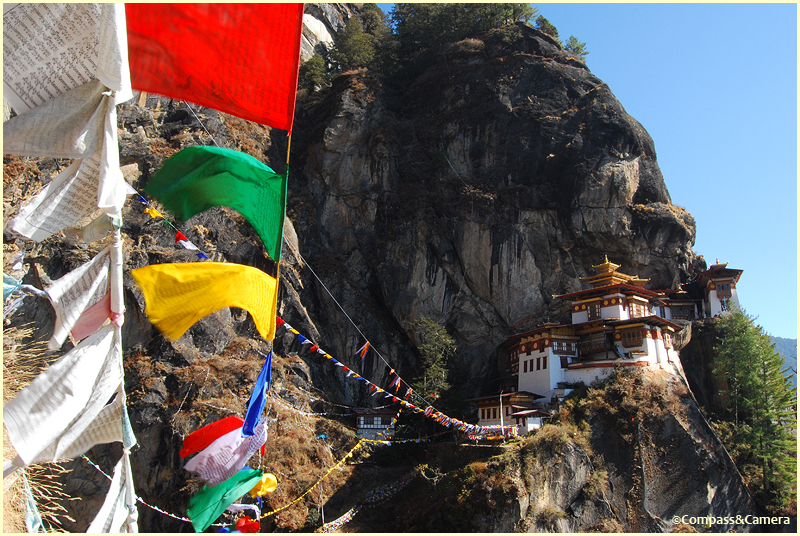 Great to hear that you enjoyed Bhutan so much! It’s such an amazing country. Unfortunately, I don’t know what the stone collections are called. Maybe I’ll have to go back! 🙂 Thanks for your comment, and safe travels wherever you go next! I found out what it is called. 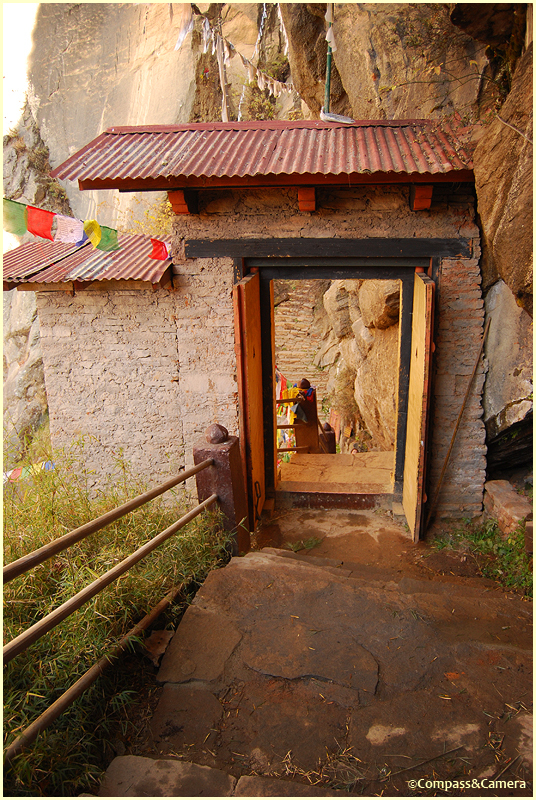 It’s called Tshetsa ( mini stupa). Thanks for responding. Gorgeous photographs. 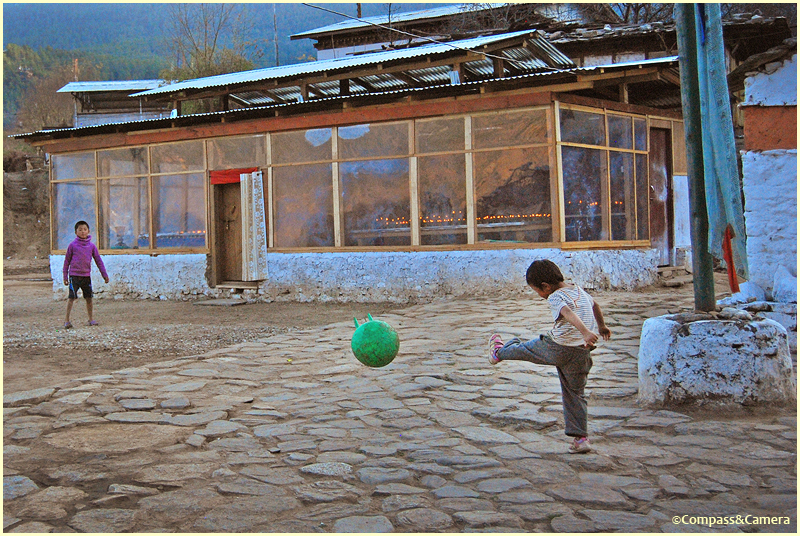 You entice me to Bhutan with your photos and words, especially with doing the math re cost. 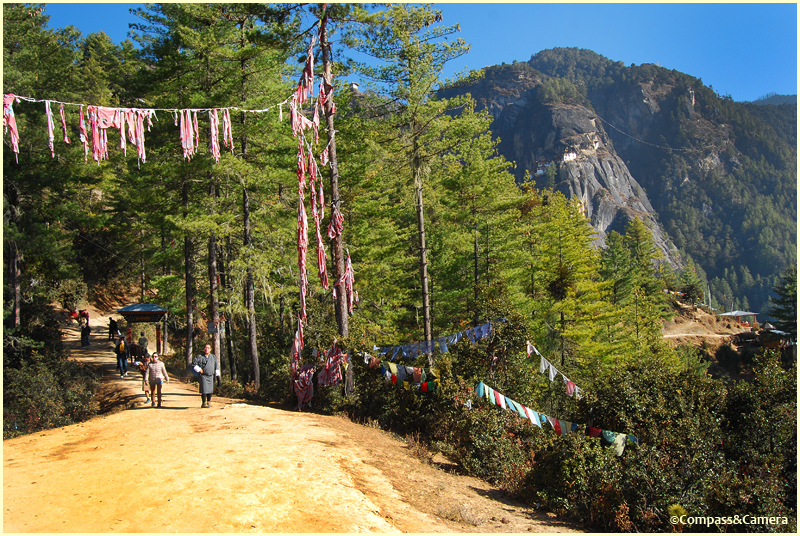 It looks like you got a perfect day for the hike to the Tiger’s Nest. This is what I can’t wait to feel and say. 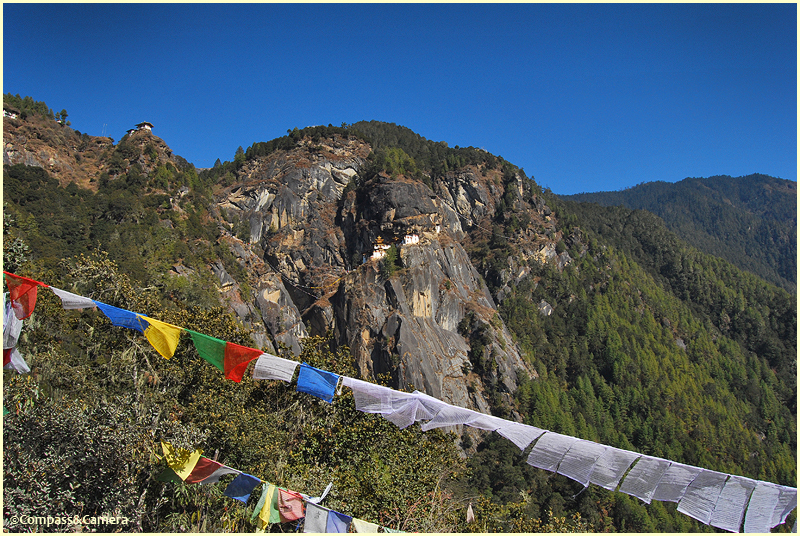 I’ve waited so long to get to Bhutan and, like Tibet was for me, it is bound to be very, very special. Your posts brought so many little pleasures: the monks, the mandalas, the children, the animals, the fields and paths and streams, the chilies, that lunch plate that I want to gobble up right now! I’m certain I will go back and re-read your posts for more details as April approaches, but I’m already feeling the glow of excitement that you expanded for me with your writing! THANKS, Lex!! 🙂 I love it when my past posts are inspiring for experienced travelers like you!!! That means so much to me. I’m SO excited you’re going!!! For how long? And with which company? I’m sure you’ll have a similar visceral feeling of disbelief as you stand and look at Tiger’s Nest — such a sought-after destination for so many people. The whole country just offers a different perspective on life, sustainability, generosity, happiness. They dance to their own drum and we can learn a lot from their choices and way of life. 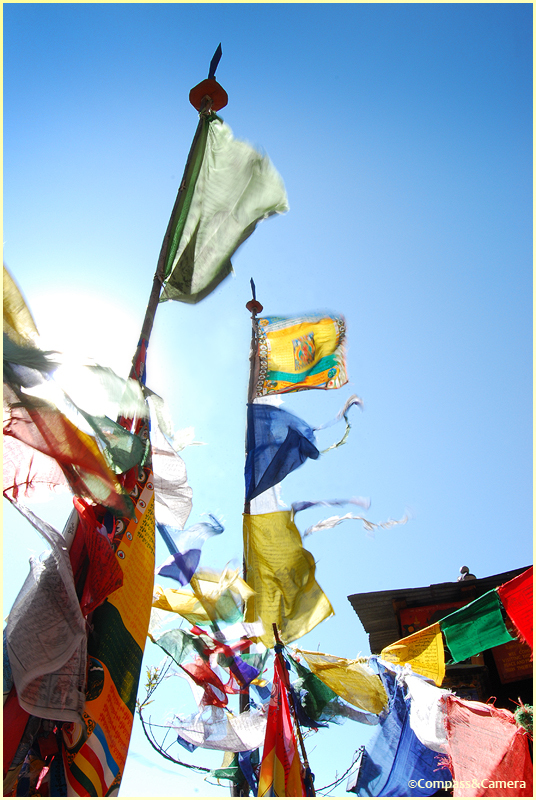 I can’t wait to experience Bhutan again through your thoughts and views! Thanks for your lovely comment.